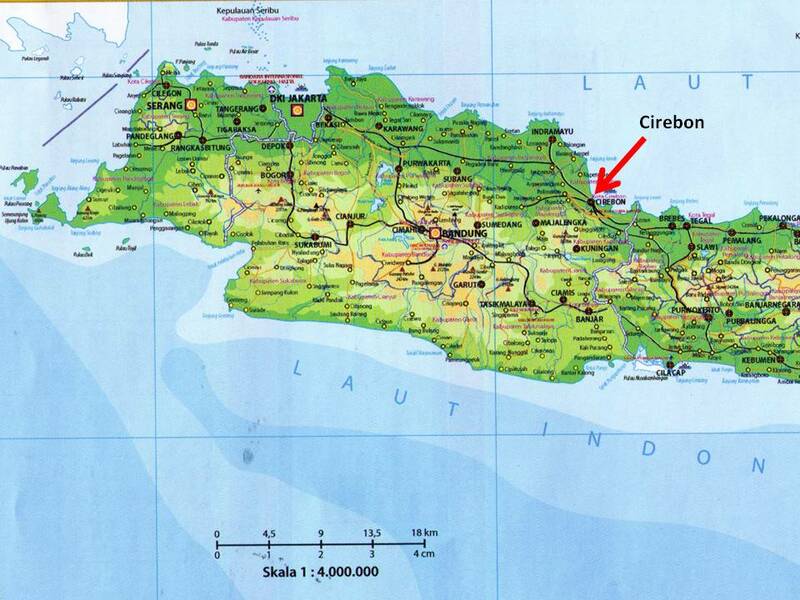 Cirebon is a medium sized city with a population of 0.3 Million on the island of 'Java' in the Indonesian archipelago. The only fact of historical significance or importance about this town is that it was an independent state under the control of a Sultan. This Sultan gave up his independence in 1705 to become a vassal or a feudatory king under the Dutch colonists and Cirebon's independent existence came to an end. After Indonesia became independent from the Dutch, this city became part of Indonesia. Even though Cirebon has no historical significance, it is a town of great geographical significance because of it's strategic location. Right from historical times, enormous volume of shipping traffic has been passing near it's coast. 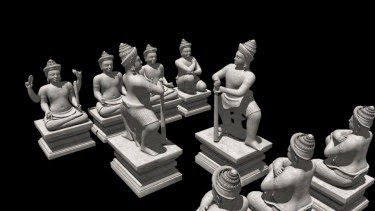 In ancient days, Cirebon was an important mercantile harbour for trade between middle east, India, Java, Sumatra and China. About a decade ago, some fishermen found out about an ancient shipwreck in the Java Sea off the town of Cirebon. They reported the matter to Indonesian authorities. However, lacking necessary salvaging equipments and also due to paucity of funds, the Indonesian Government was not able to take up any steps regarding any salvaging operation on the shipwreck. 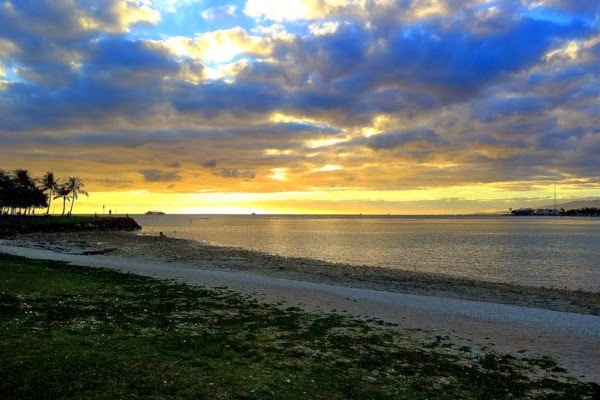 A Belgian treasure hunter specializing in salvaging the treasures on such old shipwrecks, Luc Heymans came to know about the shipwreck. His company Cosmix Underwater Research Ltd; and his Indonesian partners, Paradigma Putra Sejathera PT, made a joint offer to the Indonesian Government about salvaging the shipwreck. Indonesian Government responded positively and an agreement was signed in due course. According to this agreement, Luc Heymans's company was allowed to survey the sea bottom at that point and take out any valuables found near the shipwreck. 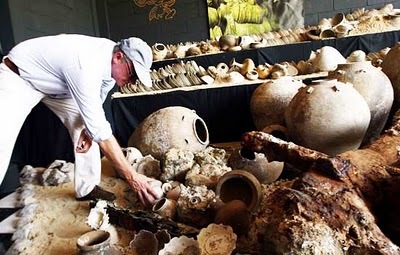 From the salvaged valuables, if any items, which could be considered as Indonesia,s national heritage, are found ,those would be kept by the Government. The balance materials that are salvaged could be sold by Luc's company and profits would be shared on equal basis. Indonesian Government issued necessary permits to Luc's company. 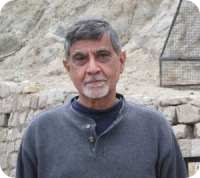 Luc Heymans collected about 10 Million US$ from his investors in US and started his search operations at the site of the shipwreck. The wreck was spread at a depth of 45 meters over a 40 meter square area on the sea bottom. Luc Heymans says that at the shipwreck site, they found no remnant broken down wooden planks or pieces of the ship itself, but only a mountain of broken chinaware. 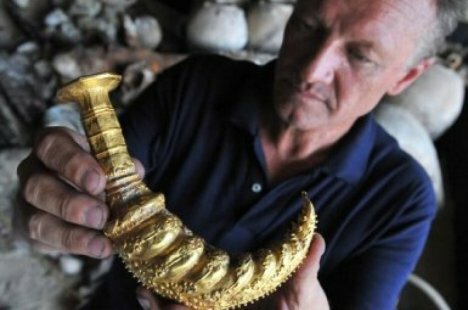 A french deep sea diver, Daniel Visnikar, employed by Luc, says that on the second day of the hunt, he found a golden dagger hilt, under a chinaware scrap heap that was 1 foot high. 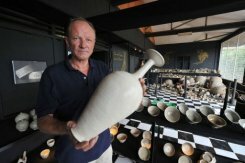 Between February 2004 to October 2005, Luc Heymans and his team consisting of 13 deep sea divers (3 Australian, 2 British, 3 French, 3 Belgian, 2 German) found an unbelievable quantity of two hundred and fifty thousand pieces of rare Chinaware like jars, plates and bowls made in the tenth century, precious jewels and other valuable items. To salvage these items, Luc Heyman''s team made in all, about 22000 to 24000 deep sea dives. Since the Chinaware was found to be made in tenth century CE, it was obvious that the ship was wrecked around that time only. 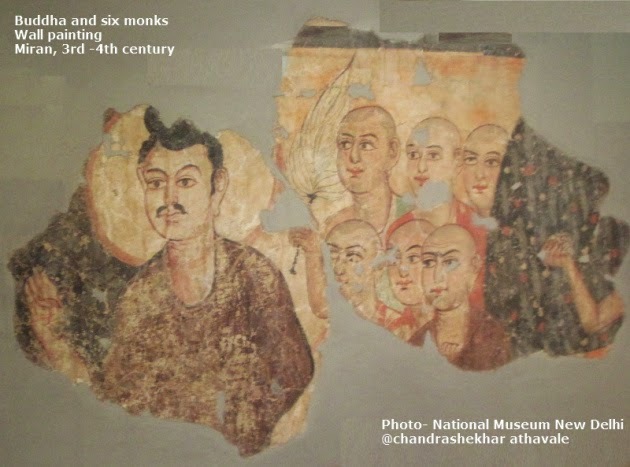 The archeologists were able to confirm from this find that substantial trade was being carried out between China, Java, Sumatra, India and Egypt by this sea route as early as tenth century. Since the ship manufactured from wood was underwater for more than 1000 years, the wood had completely rotted and decayed away and not a single speck of wood was found anywhere at the shipwreck site. What was left was the chinaware and items made from bronze and gold. 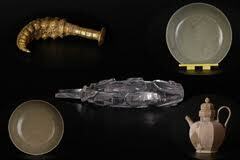 The precious cargo being carried by the ship and now salvaged from the bottom of the sea, contained many valuable items like Chinaware from the times of Liao dynasty rule in China ( 907-1125 CE ) and Five dynasties period (907-960 CE). There were chinaware plates with polished edges and having pictures of birds and dragons, plates with greenish colour, teapots with lotus motif and a large vase. 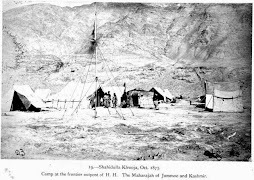 The cargo also contained, famed Persian glassware and Egyptian quartz-ware. 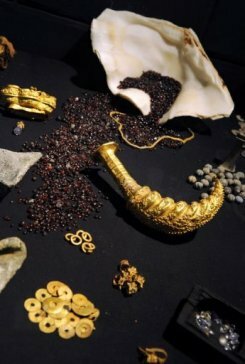 Besides this, 11000 pearls, 4000 rubies, 400 dark red coloured sapphires and 2200 garnets were also found. Luc and his team numbered each and every item together with information as to which part of the site these were found. They also prepared a DVD giving all these details along with photographs of all items and have handed over this DVD to Indonesian authorities. Luc Heymans says that salvaging the valuables from the sea bottom was the easiest part of the whole operation. His problems were all caused by other humans. When it was known that Luc Haymans team has located the treasures, divers from some other company suddenly appeared at the site. It took lot of effort to call police and prevent others from salvaging the treasures. 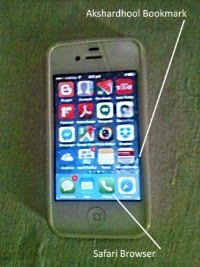 In spite of having all permissions and licenses in hand. 2 divers from Luc's team were arrested by Indonesian Navy and put in jail. It took quite an effort to get them released. As per the agreement with the Indonesian Government Luc Heymans is allowed to auction and subsequent export of the valuables from the wreck. 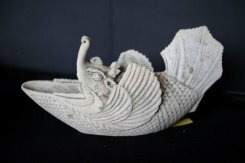 However it was found out by the Government later, that there were no laws in Indonesia, that could deal with exploration and export of such shipwreck treasures. Because of the red tape and procedural delays the treasures have been lying in a warehouse. 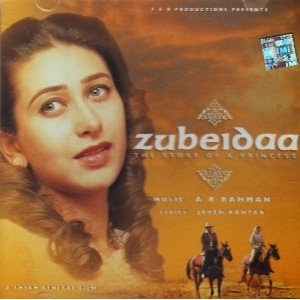 Finally in the middle of 2010 an auction of the valuables was finally announced. Indonesian Government expected a price of 80 Million Dollars for the valuables. As per terms of the auction, a security deposit of 16 Million Dollars was required from the bidders. Finding these terms unacceptable, no bidders turned up at the day of auction and the entire auction plan turned into a fiasco. Luc Haymans and his investors have invested lot of money in this operation and can only hope now that at least during next auction, someone or a museum from some country of the world, would bid for the valuables.